The ice cream isn’t the only original at Carnation Café. 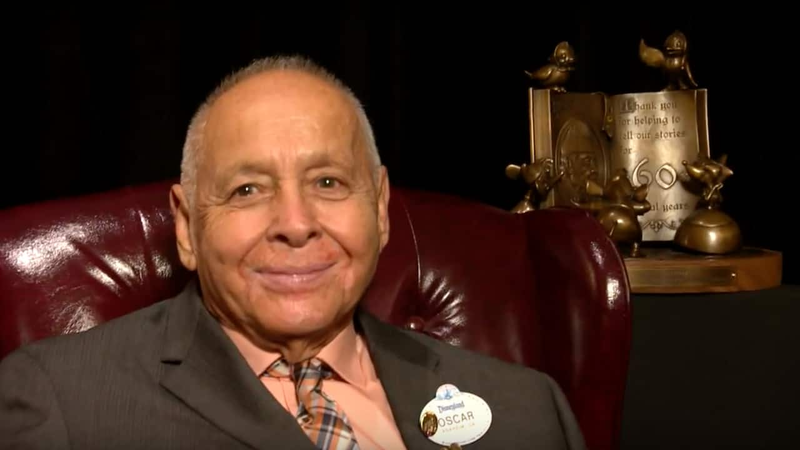 Oscar Martinez, the longest-tenured cast member at the Disneyland Resort, recently celebrated his 60th year working at the resort – the last 50 of them working at the café on Main Street, U.S.A. Originally, Oscar worked in Fantasyland quick-service locations, and over the years, trained many new cast members, including grill cooks from Tokyo Disneyland. After years spent whipping up breakfasts and lunches for guests, Oscar now spends a lot of his time greeting guests at Carnation Café, where his breakfast potatoes are featured in a menu item named in his honor. On Jan. 17, a couple of weeks after his Dec. 29 service anniversary, Oscar was presented with an award created just for him at Walt Disney Imagineering. The inspiration was “Cinderella,” a movie that has never been used to help design a service anniversary award. Learn more about Oscar and his award in this video! We have breakfast at the Carnation Cafe on every trip. Last year I said ‘ Hello Oscar!’ He said hello back and then said, ‘it’s so nice to see you again.’ ? 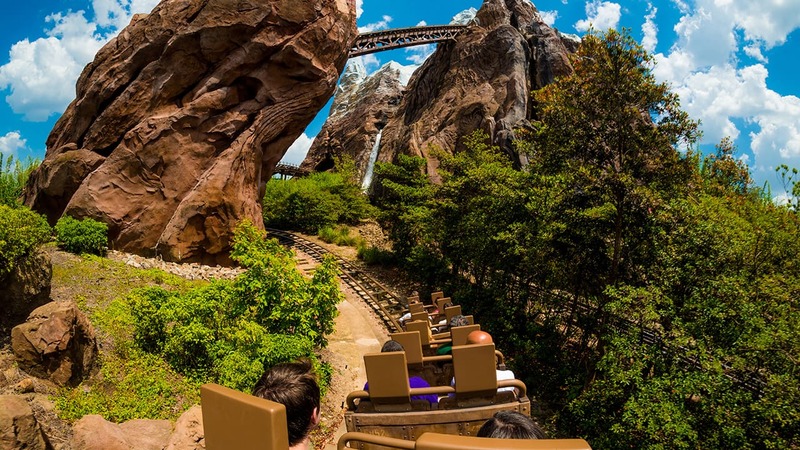 Cast members, it’s always the cast members who make the biggest difference! We always try to eat there just to see Oscar. He really does epitomize the Disney spirit. Congratulations Oscar. Like many other commenters, my family and I always book a breakfast or lunch at Carnation Cafe when we are at DLR for the chance to visit with Oscar. His stories of earlier days at Disneyland are fun and interesting. I’m glad Disney management realizes what a gem they have in Oscar, because we “guests” certainly do. Oscar deserves a window on Main Street! Thank you Oscar, and congratulations on your 60th anniversary! What a great story! I’ve heard about Oscar, but never had the chance to meet him personally. I hope Disney never forgets that it’s the Cast Members who truly make Disneyland come alive! We are all so lucky to have met and enjoyed spending time with Oscar over the years! He’s an amazing employee and deserves all these wonderful tributes celebrating him! Congratulations Oscar! Oscar, I’m just one of a million of your fans. Thank you for showing us the dignity of work, of going the extra mile, and putting smile on the faces of so many. Congratulations at this special time! Every trip we make to Disneyland always includes at least one reservation to Carnation Cafe with hopes to get a chance to chat with Oscar! He is a pleasure to talk to and the overall dining experience is always wonderful, especially just after the park opens as Guests walk by on Main Street U.S.A.! Here’s hoping that this wonderful man becomes a Disney Legend later this year at D23. 60 years is an amazing amount of time to be with any company! Congratulations, Oscar on your 60th anniversary. Thank you for all you do to make Disneyland magical for all of us! Love Oscar! Whenever he’s working he always goes around the tables talking to everyone. He has a great sense of humor and definitely shows that Disney Magic.